Fill up your plate with foods like berries, grapes, whole grams, whole grains, vegetables and nuts. Fibre rich foods like these help digestion and keep your bowel regular. 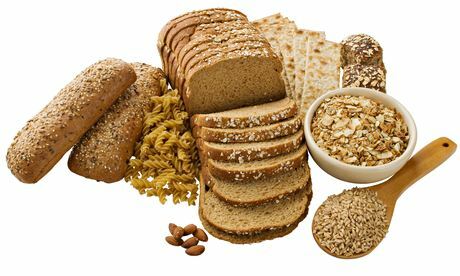 Your body needs a recommended 20-30grams of fibre daily. Yogurt has bacteria, which replenishes the normal flora within the gastrointestinal tract and so it’s healthy. Plant foods contain thousands of natural chemicals called phytonutrients or phytochemicals. These are certain organic components of plants thought to promote human health. Fruits, vegetables, grains, legumes, nuts and teas are rich sources of phytonutrients. Catechins: Found in green tea- helps in metabolism processes and control cholesterol and cancer. Hesperidin: Found in citrus fruits act as an antioxidant, reduce inflammation and cancer risk. Flavonols: Quercetin type of flavonol found in Apples, Berries, Grapes and Onions. It reduces risk of asthma, certain types of cancer and coronary heart disease.